PSE QSL direct: HKIR Island IT Club (VR2HKS), 34 Oi Kwan Road, Wan Chai, Hong Kong. 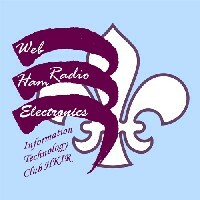 VR2HKS is a new Scout Amateur Radio Club established in 2003 in the Hong Kong Island. There are ~20,000 Scouts in HKIR and in the past had no access to ham radio at all. Our aim is to promote ham radio and Radio Scouting in the HKIR, so that more people can participate in this great hobby. Aim for 2004 is to continue to promote Radio Scouting and get together more interested Scout memebers. Please go to our website (Chinese) for more details. If you are interested in learning more, please send me an email! PSE QSL Direct! Good DX!